GUIDE TO USING OUR MELANOROLLER™ FOR HOME USE. NOTE: THIS DOES NOT SUBSTITUTE FOR DEEPER PHYSICIAN-GRADE MICRONEEDLING. The Melanoroller™ is an exceptional quality Class I medical device for home use. The needles are precision cut and reinforced, ensuring safe and predictable results. * Do not use on open cuts, active acne or inflamed skin. * Use the Melanoroller microneedle once every 2 weeks. * Do not peel and microneedle on the same day. * Do not use products with active ingredients after using the Melanoroller. * Use gentle pressure. You do not need to press needles into your skin. The needle design of the Melanoroller is calibrated to be effective when using light pressure. * Roll forehead, cheeks, temples and chin as per diagram. Around the eyes and lips may also be lightly rolled. Do not roll the nose. * You may roll back, chest or other body area of concern. Use separate rollers for face and body areas. * The sensation is one which you will acclimatize to. It is not painful when performed correctly. * After rolling, do not place any product on skin for 30 seconds. * Follow with Melanopeel’s Dermal Recover Serum, Dermal Affinity Serum, or Oily Skin Serum to properly replenish the skin. * Will control acne, hyperpigmentation, reduce wrinkles and stretchmarks, reduce pores, and will retexture your skin to beautiful smoothness. With regular use, you can achieve a healthier, firmer, clearer complexion. * Sterile & easy to clean. GUIDE TO USING OUR MELANOCLEAR™ AND MELANOLITE™ HOME PEELS . NOTE: THIS DOES NOT SUBSTITUTE FOR STRONGER PHYSICIAN-GRADE PEELS. 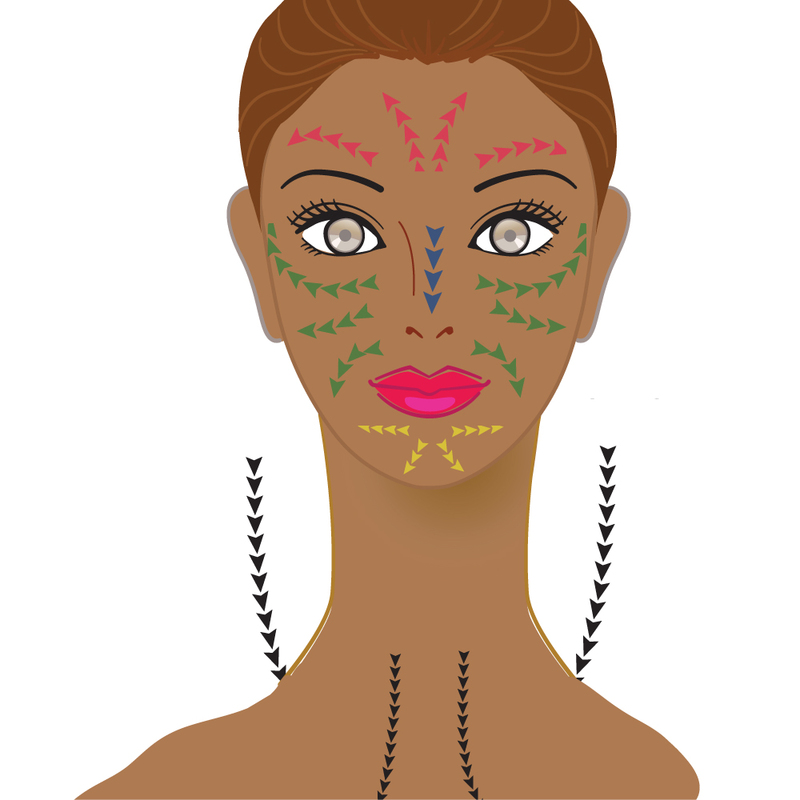 New users need to patch test inner arm, or the lower angle of the jawline. Wait 24-48 hours before peeling. 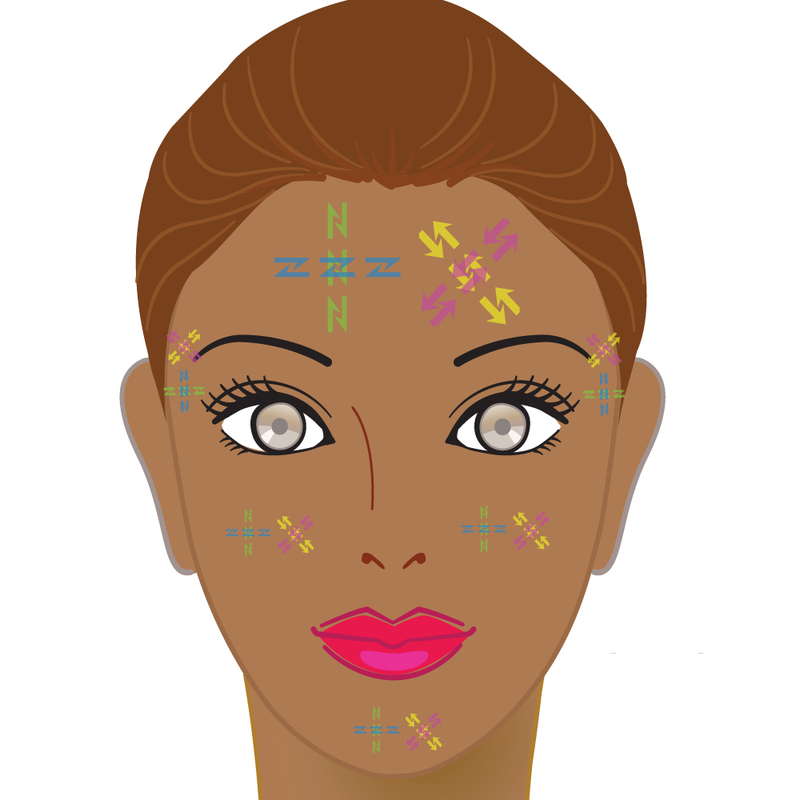 New users should do a 30 – 60 second peel, especially if of darker skin-tone. Leaving the peels on the skin for excessively long times will not increase effectiveness, and may even harm the skin. Stop use of retinoids (e.g. RetinA), alpha-hydroxy products (e.g. mandelic acid, glycolic acid, lactic acid), beta-hydroxy products (e.g. salicylic acid) & benzoyl peroxide 1 day before peeling. Do not use on open cuts or inflamed skin. Protect areas that you do not want peeled with Vaseline. Remove contact lenses if you plan to peel around the eyes. Do not peel and microneedle (derma rolling) on the same day. Avoid the use of active products on the skin for 3 days after peeling. Use either 2 q-tips, gauze, a cotton ball, or a fan brush to apply the peel. Rinse with mild soapy water after doing face and body peels. We highly recommend the use of the Melanoroller derma roller to amplify your peel results in between peeling. FACE: 30-60 seconds. 60 seconds only for persons using the Melanopeel system at least 12 weeks. * Will control acne, hyperpigmentation, rough skin, razor bumps, ingrown hairs, keratosis pilaris, and will retexture your skin to beautiful smoothness. With regular use, you can achieve a healthier, clearer complexion.